The management of sediments is a significant issue in all the industrialized countries. Millions of cubic meters are dredged every year just for the maintenance of canals and harbors. Moreover, for many decades, waterways have been exposed to a wide variety of contaminants, still present in bottom sediments. 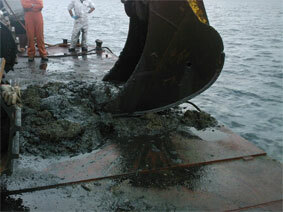 In many cases dredged materials are perceived as a waste that has to be managed properly and disposed off. On the other hand, the beneficial reuse of sediments can optimize the management of natural resources in many engineering fields. The valorization of dredged materials as a resource represents an important technical and economical interest.